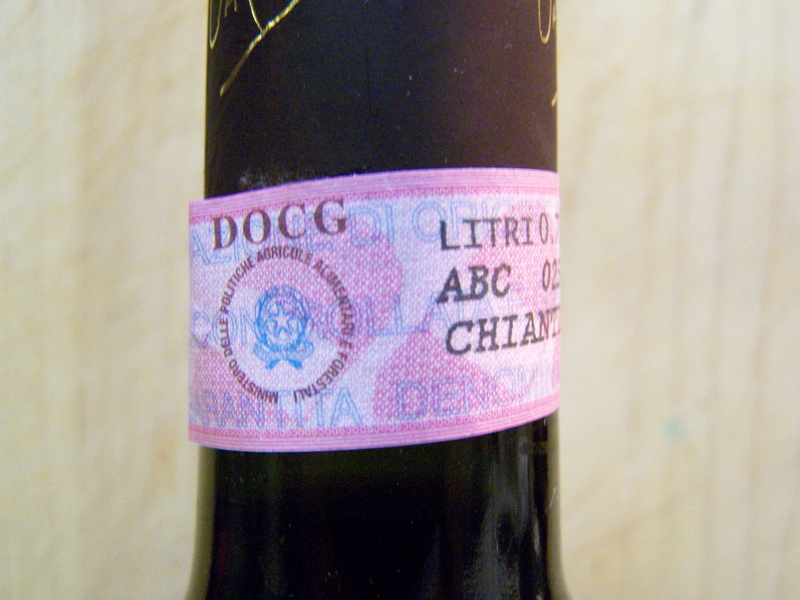 Seal and all, this is about the highest classification for wines in Italy. e Garantita – guaranteed. And it’s still only $5.79. The super Tuscans reviewed earlier carry the IGT classification which means to you the grapes in that bottle of wine came from a specific region of Italy. In the case of the super Tuscans, the area is Toscana, or Tuscany. The DOC designation is a step up from IGT which means to you, not only that the wine comes from a specific region, but also that the grapes in it are limited to certain varieties and the wine is made following certain regulations. 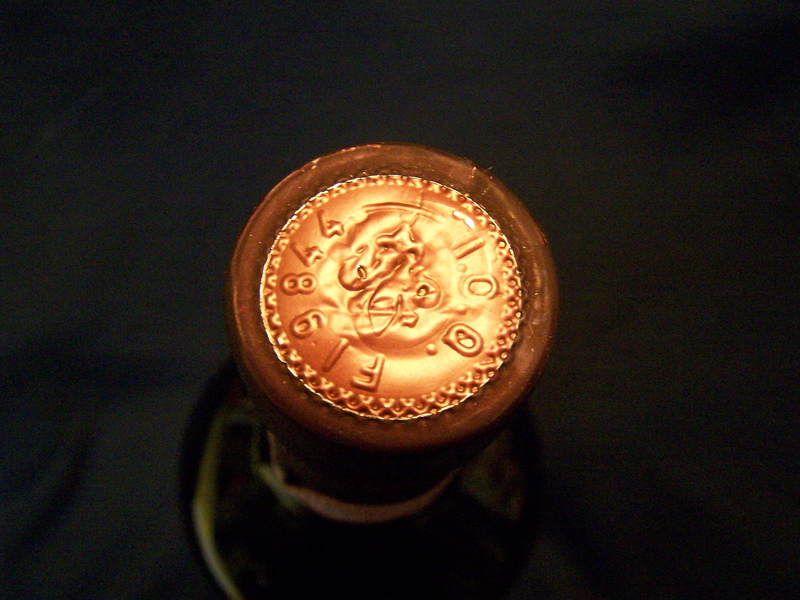 The G after DOC adds the additional certification that the wine has actually been tasted and found to be worthy of this high classification. G stands for “e garantita”, “and guaranteed” in English. All this is just to help assure you, the consumer, that this is a quality wine. The classification works well for this bottle of Tuscan wine. This is a quality wine, even if it only costs $5.79. There may be better DOCG wines out there, but most likely not for this price. While I very much liked the previous super Tuscans, this is without a doubt a better wine. 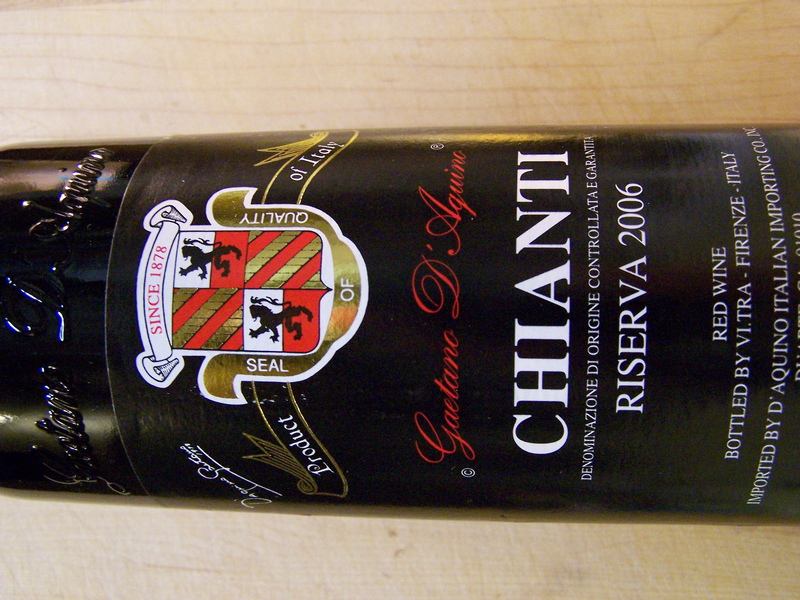 The super Tuscans had a little bit of a harsh taste to them, this Chianti has no harshness. 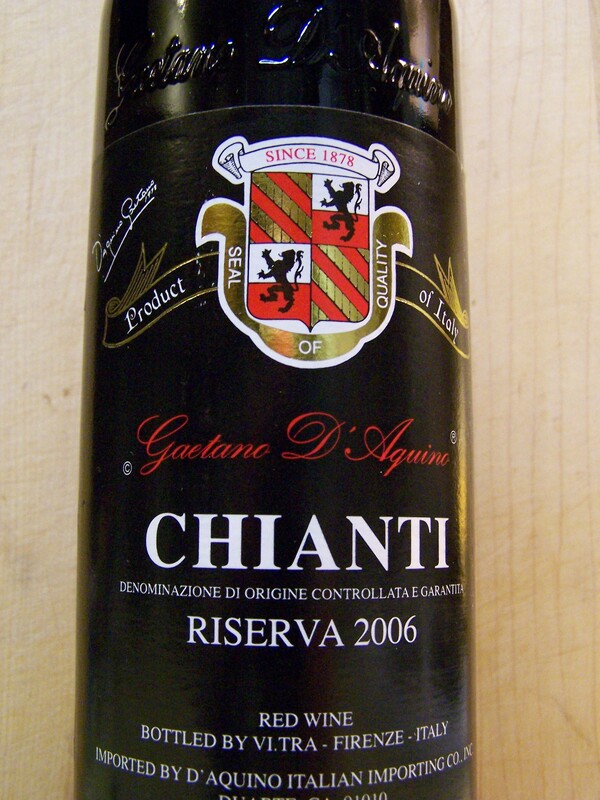 Perhaps that’s because the addition of Riserva to the bottle label means the wine has been aged for at least two years. Since this is a 2006 vintage, draw your own conclusion. At any rate, stop reading this and go out and get yourself a bottle before the shelf is empty. And where would you be going? Trader Joe’s. This entry was posted on 01/22/2011 at 10:05 and is filed under Trader Joe's, Wine. You can follow any responses to this entry through the RSS 2.0 feed. You can leave a response, or trackback from your own site. What a great wine! I received it as a Christmas gift. One Saturday I made filet mignon, mushrooms, baked sweet potato and romain salad with all the trimmings. Well, the wine complimented the dinner beautifully. My husband, not a wine drinker, had one glass and liked it. I on the other hand finished the bottle. I started when I began to cook and finished it over the course of a few hours. Will definitely buy it again. Glad you liked the wine. I’m getting hungry just reading about that fabulous dinner.